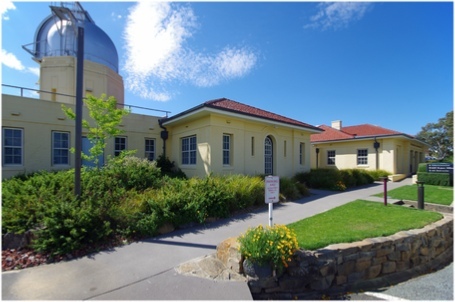 Right: the 1926 Commonwealth Solar Observatory Building with the Farnham six-inch refracting telescope. 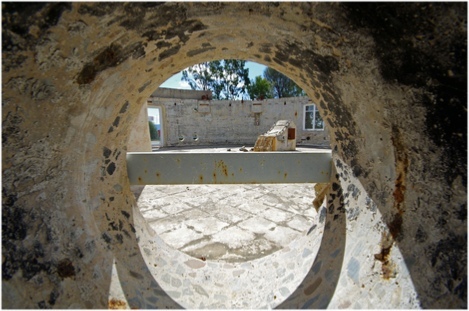 The telescope was built in 1886, donated to the Commonwealth by Lord Farnham in 1907, and installed at Mt Stromlo in 1928. It was the only telescope to survive the 2003 fires. 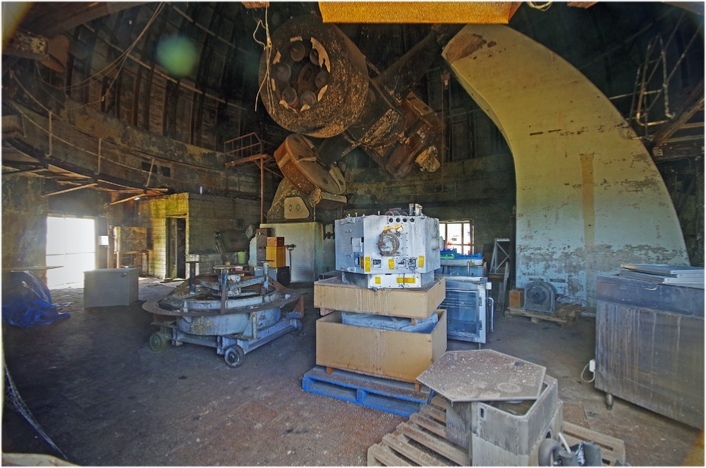 Below left and right: remains of the 26 inch Yale-Columbia refracting telescope dome. The telescope began operation in Johannesburg, South Africa, in 1925. 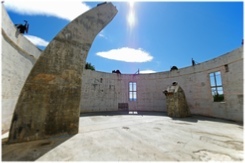 It was moved to Mt Stromlo in 1955 and donated to the observatory in 1963. During its life, the telescope was used to investigate the distances and movements of the southern stars and later assisted with NASA Voyager missions to the outer planets. Below: as the site’s largest and most advanced telescope, the 74 inch reflector was the Observatory’s primary research instrument throughout its lifetime (1955-2003). It was capable of looking deep into space and contributed to our understanding of the life-cycles of stars and galaxies. The destroyed telescope is still in situ. Below: remains of the 50 inch Great Melbourne reflecting telescope dome. 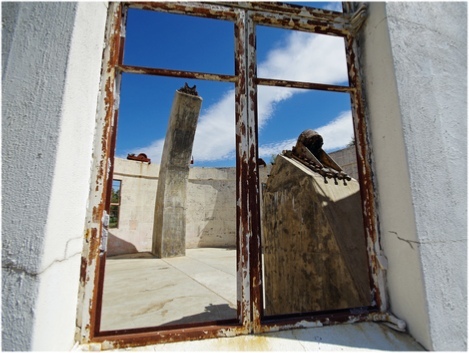 Originally built for the Melbourne Observatory in 1868, it was given a new lease of life when purchased by Mount Stromlo in 1945 after which it became one of the Observatory’s most productive telescopes. In the 1990s it was used to investigate one of the big mysteries of the universe - dark matter, which has a gravitational presence but neither emits nor absorbs light. Right and below left: remaining shell of the Director’s Residence. Originally called “Observatory House”, this grand residence was built in 1928 as the home of the founding Director of the Observatory, Walter Duffield and his family. 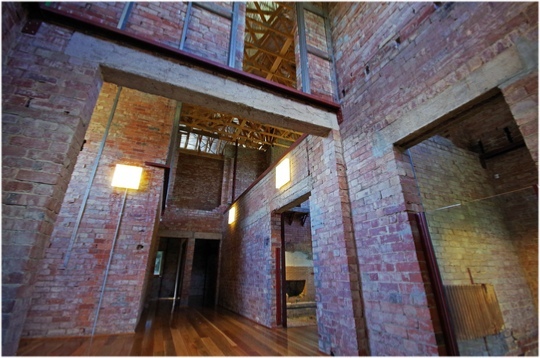 It housed successive directors until 2000 and was a family home until it was all but destroyed in the 2003 fires. 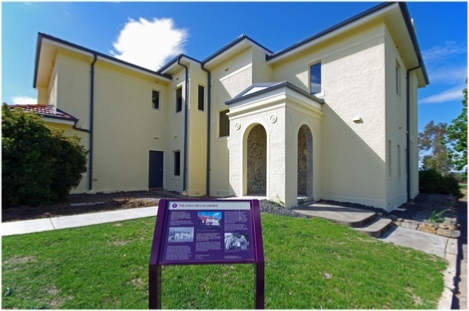 It remained fenced and inaccessible for more than 10 years until the ANU received a grant to stabilize and re-open the building as a display. 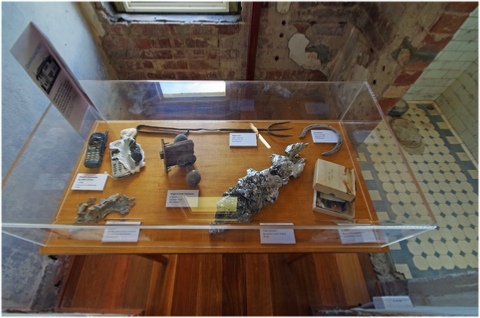 Right: melted items retrieved from the Director’s Residence following the 2003 fires.